At Eckert Renovations our passion is creating incredible bathrooms for our clients, at any price point. Did you know that you can have a designer bathroom without overspending? We’ve been helping our clients get exactly what they want at the price they want, completed in their timeframe for many years, and we are pretty great at it if we do say so ourselves! While our base values of building both quality work and quality relationships with our clients has remained the same from day one, we’ve only gotten better at our craft over the years. When you hire Eckert Renovations you’re hiring years of experience and knowledge which will benefit your renovation immensely. Whether you’re planning to keep your home or commercial property for many years or will be selling it in the next few months, remodeling is a beneficial pursuit as a home or business owner. Some clients are looking for that luxury bathroom they can relax in at the end of the day to forget about all their worries. 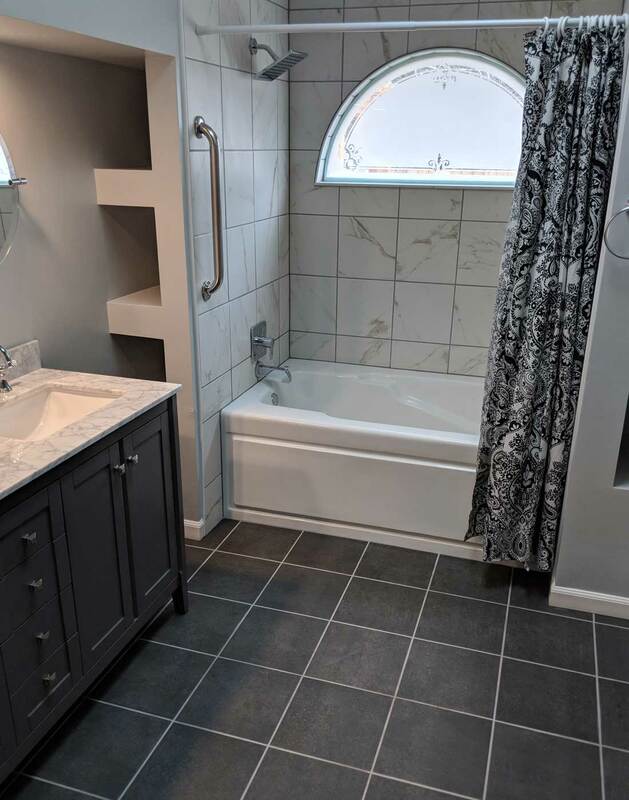 Other clients are looking to sell their property at a profit, and for this the high return on investment of a bathroom remodeling is highly beneficial. Buyers are attracted to beautiful up-to-date bathrooms and at Eckert Renovations we can create just that. Aside from the personal enjoyment you’ll gain from your beautiful new bathroom, there are a lot of other benefits to pursuing one or both of these renovations. Updated appliances means updated energy saving technology. Save on bills after your renovation! Many areas offer incentives for those installing eco-friendly appliances. Earn money back on top of the savings you’ll make on monthly bills. Bathroom renovations pay for themselves upon home resale. Get 100% back or even more depending on what particular remodeling you’ve done. There’s a lot of amazing technology out there right now for bathrooms and kitch-ens. Do some research online or give us a call! We promise it’s both luxurious and fun. 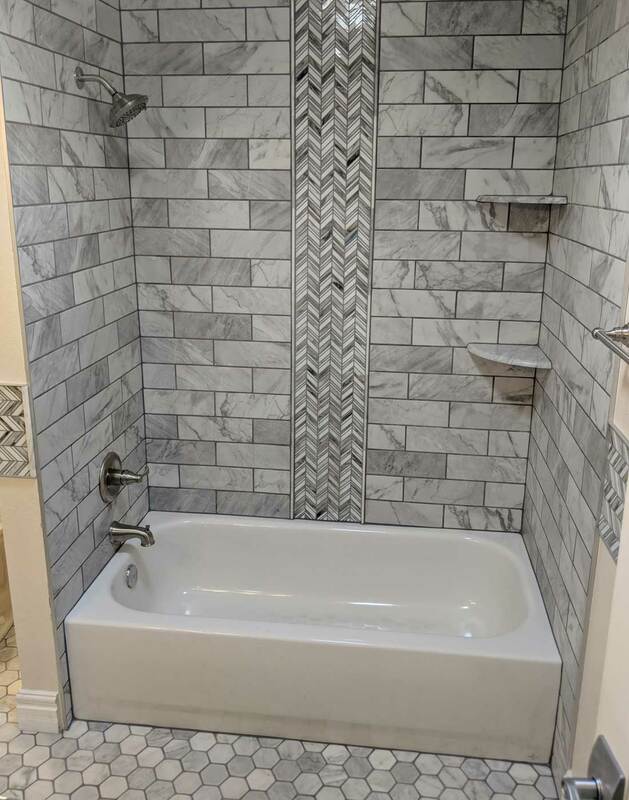 Of course, your new bathroom will also be fully customized to you rather than the last per-son who owned your home (or the first one who built it) so you’ll have complete ease of use at all times. At Eckert Renovations we pride ourselves in having everything covered at all times. From the beginning to the end of your reno, you can have the confidence that everything is being done right, and in the time frame you’ve outlined. Your dream bathroom will become a reality in efficient time and at a competitive price point. We love to do our best for our clients, because what are we without them? We can’t wait to start work on your new bathroom, so contact us today for your free quote for services!